Several major Hollywood studios, Amazon, and Netflix have filed a lawsuit against Dragon Media Inc, branding it a supplier of pirate streaming devices. The companies accuse Dragon of using the Kodi media player in combination with pirate addons to facilitate mass copyright infringement via its Dragon Box device. While Kodi itself is a neutral platform, sellers who ship devices with unauthorized add-ons give it a bad reputation. In recent months these boxes have become the prime target for copyright enforcers, including the Alliance for Creativity and Entertainment (ACE), an anti-piracy partnership between Hollywood studios, Netflix, Amazon, and more than two dozen other companies. After suing Tickbox last year a group of key ACE members have now filed a similar lawsuit against Dragon Media Inc, which sells the popular Dragon Box. The complaint, filed at a California federal court, also lists the company’s owner Paul Christoforo and reseller Jeff Williams among the defendants. According to ACE, these type of devices are nothing more than pirate tools, allowing buyers to stream copyright infringing content. That also applies to Dragon Box, they inform the court. “Defendants market and sell ‘Dragon Box,’ a computer hardware device that Defendants urge their customers to use as a tool for the mass infringement of the copyrighted motion pictures and television shows,” the complaint, picked up by HWR, reads. When users follow the instructions Dragon provides they get free access to copyrighted movies, TV-shows and live content, ACE alleges. The complaint further points out that the device uses the open source Kodi player paired with pirate addons. 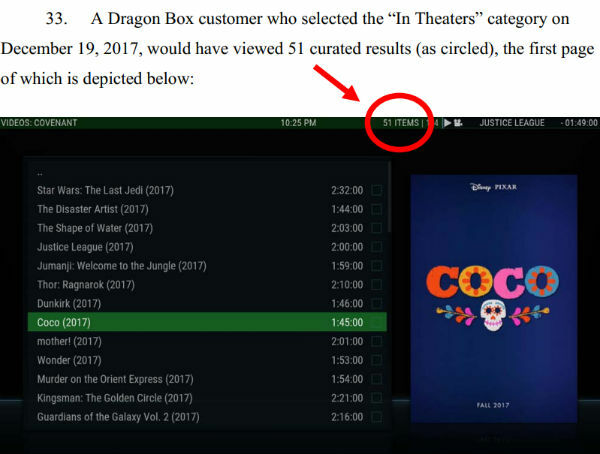 “The Dragon Media application provides Defendants’ customers with a customized configuration of the Kodi media player and a curated selection of the most popular addons for accessing infringing content,” the movie companies write. One of the addons that are included with the download and installation of the Dragon software is Covenant. This addon can be accessed through a preinstalled shortcut which is linked under the “Videos” menu. Users are then able to browse through a large library of curated content, including a separate category of movies that are still in theaters. According to a statement from Dragon owner Christoforo, business is going well. The company claims to have “over 250,000 customers in 50 states and 4 countries and growing” as well as “374 sellers” across the world. With this lawsuit, however, the company’s future has suddenly become uncertain. 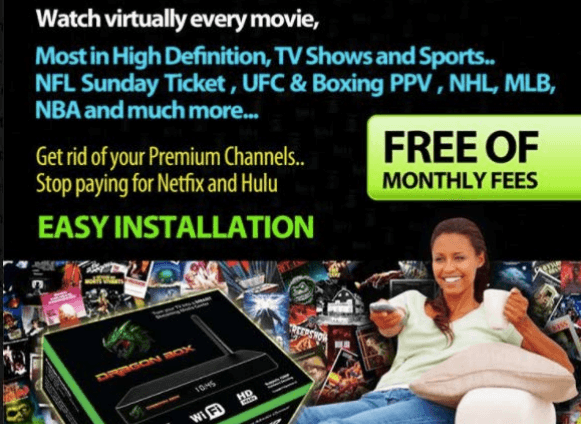 The movie companies ask the California District for an injunction to shut down the infringing service and impound all Dragon Box devices. In addition, they’re requesting statutory damages which can go up to several million dollars. At the time of writing the Dragon Box website is still in on air and the company has yet to comment on the allegations. A copy of the complaint is available here (pdf).